Here we go again: Tomorrow morning, I’m going to board a plane and fly to Las Vegas for my 16th consecutive year of covering CES. I’ll be in Vegas through Friday morning, meaning I have all of Monday to hop between press conferences, followed by three days on and around the show floor. Beyond incessantly tweeting out whatever I see, I’ll be writing a CES recap for Discovery, a couple of posts for the Disruptive Competition Project, and some sort of contribution to the PBS NewsHour’s site. I’ve got a couple of video interviews on tap as well–the Motley Fool wants to get my thoughts on the show, and I’m supposed to chat with tech journalists Cali Lewis and Jordan Burchette on Panasonic’s Live@CES video stream Tuesday at 3:30 Pacific. And I’m going to try an additional experiment: posting too-long-for-tweets updates at Sulia, a “subject-based social network” that aims to provide more depth and context than Twitter. I will not be at all surprised if this to-do list expands over the next few days. If there’s anything in particular that you’d like me to look for or check out while I’m at CES, now would be an excellent time to leave a comment. This entry was posted in Events, Gadgets, Work and tagged cea, ces, consumer electronics show, Las Vegas, lvcc by robpegoraro. Bookmark the permalink. Can’t justify bringing one when I have my laptop; can’t see getting all my work done on a tablet alone. I’m pretty sure I’ve seen a downward trend on the price of the Samsung tab 2 7″ (unfortunately I haven’t been strict about documenting) and now amazon is showing they are out of stock. Curious if we should be expecting a new tablet launch from them. Safe travel, Rob . Check out the cameras. I need a new DSLR. Hey Rob! Hope you’ll catch my National Anthem at the LIT Dinner. Have fun this week and hope to see you. 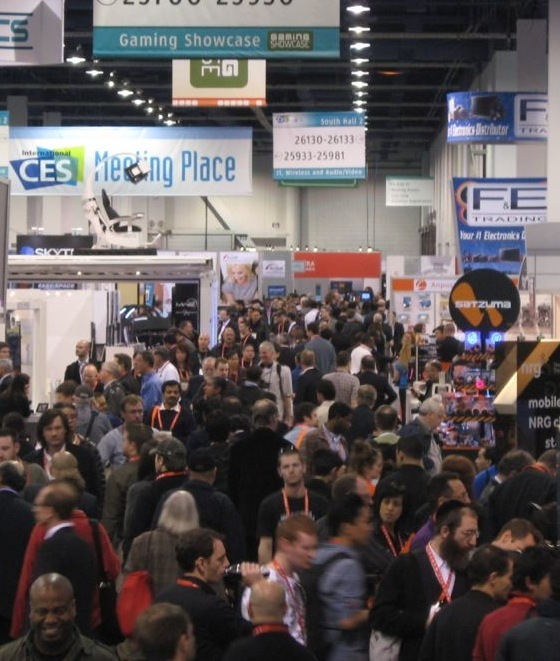 Is CES now bigger than Comdex was back in the day? I used to go to Comdex every year when I lived in Southern Utah. Hit every one from 90 through 99. Really wish I’d brought a camera with me. Hey Rob, Sent this via email but you may not have time to check it: Could you look at new W8 tablets/pcs that allow pen input while resting palm on screen. This is a real problem on capacitive screens. I use MS OneNote and want to be able to jot notes. Becomes impossible if every time I write I leave a mark from my palm. The Surface Pro is supposed to eliminate the problem. Wondering if the new Lenovo’s have the same technology.